Scientists have known for some time that cruciferous vegetables have numerous health benefits — from antioxidant to anti-inflammatory and perhaps most importantly anti-cancer properties. 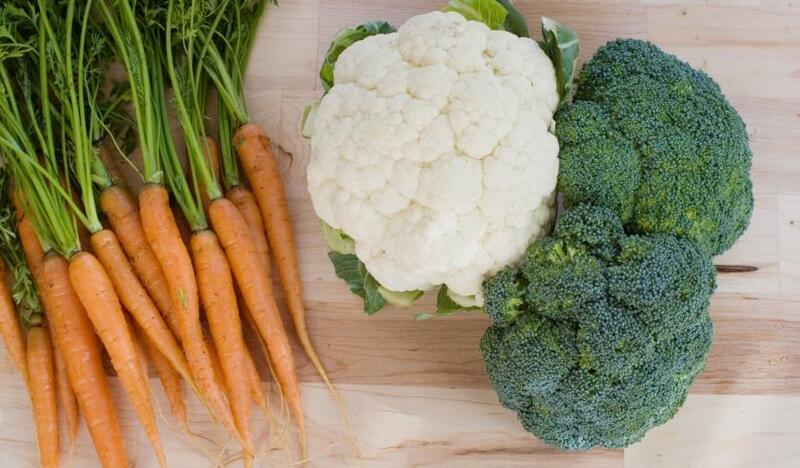 But a new study has found that a certain compound and enzyme found naturally in cruciferous veggies may actually prevent the relapse of certain cancers by killing cancer stem cells. The study, which was carried out by Moul Dey, associate professor at the South Dakota State University Department of Health and Nutritional Sciences, focused primarily on phenethyl isothiocyanate (PEITC) and its precursors in cruciferous vegetables. Dey and her research team found that the precursor compound and enzyme combine while a person chews these vegetables, which then turns into PEITC in the body. Some of the leafy cruciferous vegetables that contain this compound are broccoli, cabbage, cauliflower, and Brussels sprouts. In the study, the researchers placed human cervical cancer cells in a Petri dish, then treated them with PEITC. Seventy-five percent of them died within 24 hours of the treatment. Even lower amounts of PEITC were effective in destroying cancer stem cells, the researchers found — mouse lung tissues that had cancer were treated with lower concentrations of PEITC and were still helped significantly. “Preliminary evidence has shown a quite dramatic difference between the lung sections from the PEITC-treated and untreated mice,” Dey said in the press release. She also noted that further research would be needed to test the same treatment in humans. It’s important to target cancer stem cells, because they’re the things that allow cancer to recur even after chemotherapy and remission. When a tumor is treated with chemo, for example, the tumor disappears but the cancer stem cells survive. They only make up about five percent of the tumor, yet they have the potential to regenerate the original tumor and spread the cancer elsewhere. According to Stanford Medicine Ludwig Center, cancer stem cells are similar to weeds in a garden — if their roots aren’t taken out, the weeds are able to grow back. And here’s the thing: The study argues that you can get cancer-preventing levels of PEITC just through diet alone. The researchers only used about 5 to 15 micromolars of PEITC to treat cancer stem cells, and those amounts can be reached through diets rich in these vegetables. Next time you’re swaying between junk food and veggies, go for the ones that can save your life. Source: Wang D, Upadhyaya B, Liu Y, Knudsen D, Dey M. Phenethyl isothiocyanate upregulates death receptors 4 and 5 and inhibits proliferation in human cancer stem-like cells. BMC Cancer. 2015.